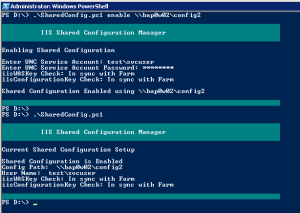 As discussed on the Top 10 IIS Configuration Tips article, the Shared Configuration feature is a must have for building web farms with IIS. 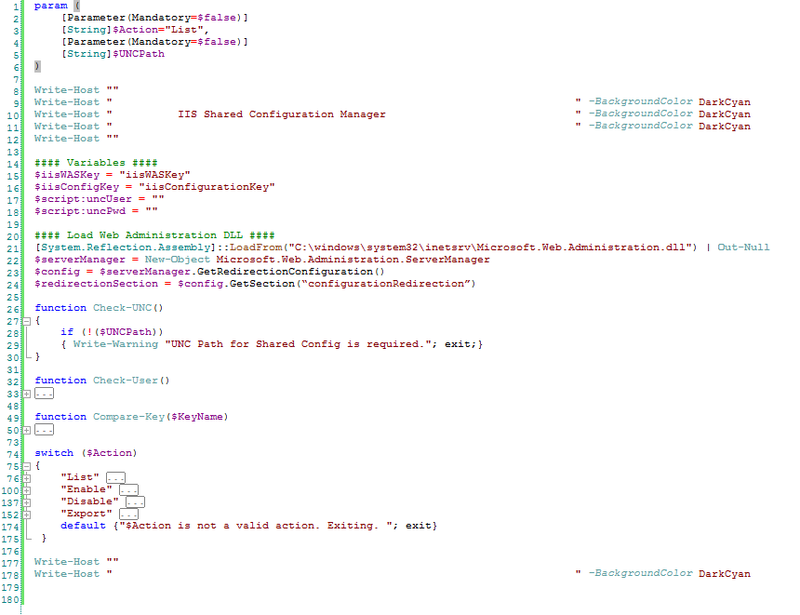 But let’s look at how we can use Powershell to script IIS Shared Configuration. If we’re building and managing multiple farms or one very large farm, being able to automate the setup will save us time and improve the quality of our setup. Before getting into the scripting, lets review the requirements for enabling IIS Shared Configuration. 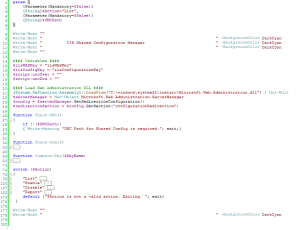 There’s not a lot needed to setup IIS Shared Configuration, but here are the basic requirements. You need to be running IIS 7.0 at a minimum to use Shared Configuration, it was not available in earlier versions of IIS. For this example I’ll use 2 servers, ServerA and ServerB, with ServerA being the master. [cow_johnson general_width=”400″ general_bgcolor=”#dddddd”] IIS 7.5 introduced a property called “enableUncPolling” for controlling if IIS should directly check the Shared Configuration path for changes instead of depending on File Change Notification which is the default. You may need this if you’re using a non-Windows file server. This property can only be modified by editing the redirection.config file manually or via script, its not visible in the IIS Manager UI. There’s also a “pollingPeriod” property to control how often to check the path for changes. IIS 8.0 and IIS 8.5 did not introduce any changes to Shared Configuration. A File Share is needed to store the IIS config files and Encryption Keys. 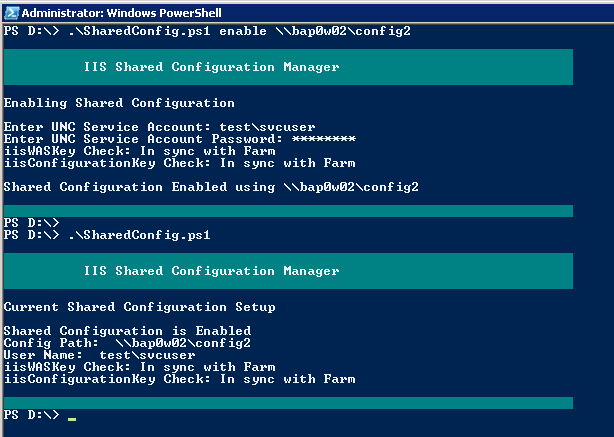 You can make Shared Configuration work using a local path if you have concerns about the stability of a remote UNC. 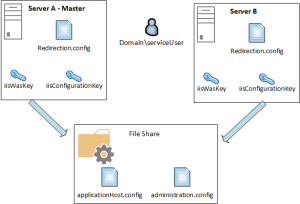 A service account is needed to access the UNC path where the configuration files will be stored. Technically, you can also use local accounts, but I would recommend using domain accounts unless you have no choice.If you’re using a local path on each server to store configuration files then this is not necessary. 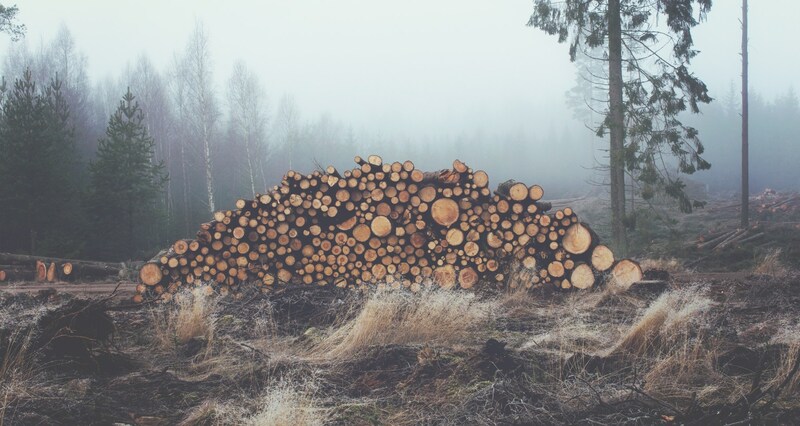 The System account is used by default and will have access to the local file path. IIS Encryption Keys will need to be synchronized between the two servers. You need to export the Keys from the Master IIS Server to the File Share, and then import as needed on the Nodes. When run with no arguments it will display the servers current status. The “Enable” argument will turn on Shared Configuration and import IIS Encryption Keys if they don’t match the Farm Keys. You need to specify a 2nd argument with the UNC Path to the Farm Config. The “Disable” argument will turn off Shared Configuration and revert IIS to using the previous local configuration. The “Export” argument will copy the current Config and IIS Keys to the UNC Path. This should be run once on the Farm Master. You need to specify a 2nd argument with the UNC Path to export the files to. The Microsoft.Web.Administration.ServerManager object gives us access to read and modify the “configurationRedirection”. 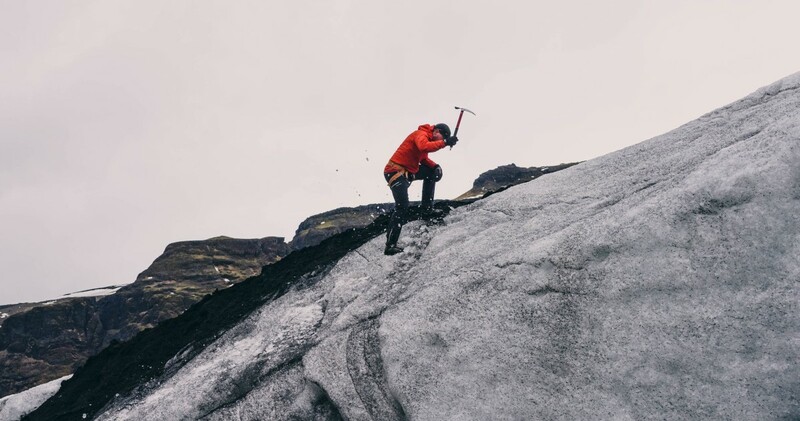 The $script:uncUser and $script:uncPwd variables can be hard coded if you prefer, by default the script will prompt you to enter the values at runtime. The Compare-Key function will compare the local servers RSA Key against the exported Key in the farm’s share. The important thing to note about this script is that we’re not only exporting the IIS Config but also the IIS Encryption Keys, and then importing both on our other servers. When we check the Shared Configuration Status it will also show you if the Keys match. Keeping Encryption Keys in sync will save you a lot of problems down the road. You can also download this script directly if you prefer. $script:uncUser = Read-Host "Enter UNC Service Account"
Write-Host "Current Shared Configuration Setup"
Write-Host "Shared Configuration is Enabled"
Write-Host "Shared Configuration is NOT Enabled"
Write-Host "$iisWASKey Check: NOT in sync with Farm, updating..."
Write-Host "$iisConfigKey Check: NOT in sync with Farm, updating..."
Write-Host "Shared Configuration Enabled using $uncpath"
$appConfig = Join-Path $UNCPath "applicationHost.config"
$adminConfig = Join-Path $UNCPath "administration.config"
Byron, thank you for posting this, especially since it seems to be a clear follow on response to our comment discussion in one of your previous posts. I’ve x-posted this to /r/sysadmin. No problem. It was a good question about the Crypto Key that the UI prompts you for. You definitely do not need that extra Crypto Key when you script it, or even manually enable Shared Config.